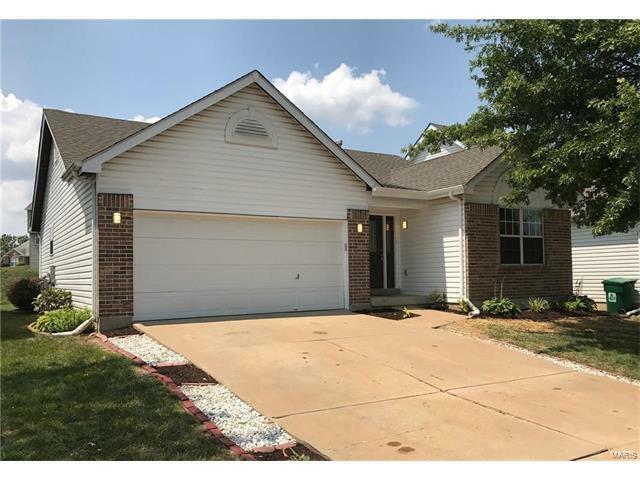 Wonderfully rehabbed 3 bedroom and 2 bath ranch home in the lovely Estates at Behlmann Farms neighborhood. Step inside this home and see its fresh paint, new carpet, new lighting, brand new kitchen with stainless steel appliances, new ceramic tile, granite countertops, lovely entryway, updated baths, new 30 year architectural shingle roof and much more. Make your appointment to see today! From US 67 N, go right on Behlmann Farms Blvd. Enter roundabout and take 1st right onto Behlmann Meadows Way. Property is on the right.